One of the tenets of modern portfolio theory is that you cannot generally beat the market after transaction costs. 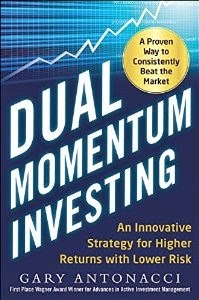 Yet academic researchers have shown that momentum consistently beats the market. Other factors besides momentum have also cast doubt on the efficacy of the efficient market hypothesis. There is one way though that academics can still hold on to the efficient market hypothesis. It is to show that academic research on anomalies does not hold up in the real world after accounting for transaction costs. Chen, Stanzl & Watanabe (2002) were the first to explore the price impact of large-scale factor investing. They concluded that the maximal fund sizes for factor-based anomalies, especially momentum, to remain profitable are small. Lesmond, Shill & Zhou (2003), Korajczyk & Sadka (2004), Fisher, Shah & Titman (2015), Novy-Marx & Velikov (2015), Beck, Hsu, Kalesnik & Kostka (2016) all came to similar conclusions. Smart beta type fund sponsors who jumped on the factor bandwagon were not happy to see these results. Like what happens when drug companies have academics do trials of their products, fund sponsors had their own researchers look at the capacity of factor-based strategies. Frazzini, Israel & Moskowitz (2014) work for AQR. They analyzed 16 years of actual trading data ending in 2013. They showed scalable results over this period. Their study applied to all strategies in their database and not a focused portfolio of momentum stocks. Some argue that trading costs are not an issue by pointing to similar performance between momentum based funds and the momentum indices these funds track. The problem with that argument is the indices themselves may suffer from the impact of trading costs on the stocks that make up those indices. Chow, Li, Pickard & Garg (2017) show that market impact costs can come from trading at temporarily inpacted prices during index rebalances. This means market impact costs are hidden and cannot be seen in a direct comparison between fund performance and index performance. There is also the potential problem of tracking error issues if funds and their indices are based on different criteria. Chen and Velikov (2017) in "Accounting for the Anomoly Zoo: A Trading Cost Perspective," show that the post-transaction cost returns of 120 factors are near zero, especially after publication. The average anomaly post-publication net return is only 2 basis points. Even the best net returns are fragile and disappear over time. Poor performance holds across many portfolio constructions including several that use cost mitigation techniques. Post publication momentum performance has been disappointing over the past 20 years. Battacharya, Li & Sonaer (2016) found that momentum profits from U.S. stocks have been insignificant since the late 1990s. Hwang & Rubesam (2013) showed that the momentum premium for stocks disappeared in the early 1990s. This was when Jegadeesh & Titman published their seminal study on stock momentum. The main drawback of all momentum cost studies, whether academic or industry based, is that they depend on assumptions about future transaction costs and market liquidity. Assessing implementation costs using transaction cost models may be incomplete or misguided. No one can say with any degree of certainty what the future will bring. What Ratcliffe et al. say about unrealistic assumptions is likely true of most, if not all, of these studies. It is not uncommon for academic finance theories to not hold up well in the real world. The capital asset pricing model (CAPM) and mean variance optimization (MVO) are examples of this. In past blog posts here and here, we highlight factor research using actual fund results. One study we cite by Loughran & Hough (2006) compares the actual past performance of value versus growth mutual funds. After examining fund performance from 1965 to 2001, they conclude that superior long-run performance from value is an “illusion.” They attribute the surprising real time underperformance of small cap value funds to the price impact of trading. A second study by Arnott, Kalesnik & Wu (2017) applied two-stage Fama-MacBeth regression to the last quarter-century of mutual fund returns. They showed the real-world return for the value and market factors to be half or worse than theoretical factor returns. On a real-time basis, the momentum factor provided no benefit at all. In support of this, studies here and here show that stock momentum profits have been insignificant since the early or late 1990s. The authors start with a two-stage Fama-MacBeth regression applied to 7320 U.S. domestic mutual funds from January 1970 to December 2016. In the first stage they determine the estimated factor loadings for each fund. In the second stage, they regress the excess returns of all funds against the estimated factor loadings to get the factor premia earned by each fund. They then compare these to the theoretical factor returns. Their regression approach differs from Arnott et al. by focusing more explicitly on implementation costs. From 1970 through 2016, the authors find that annual implementation costs range from 2.2% to 8.5% for momentum strategies. This makes momentum profits inaccessible to typical asset managers, according to the authors. Implementation costs for both value and momentum are stationary throughout this 46 year period. The authors say industry inflows offset declines in bid-ask spreads and commissions. In addition to Fama-MacBeth regression, the authors use a second approach called matched pairs analysis. Here they directly compare the compensation for stocks to mutual funds with similar characteristics. They sort stocks into quintiles and match them up with three mutual funds closest to them in factor beta. This is a more direct approach than Fama-MacBeth regression. Matched pairs analysis shows performance attrition for value and momentum strategies comparable to Fama-MacBeth regression. It also shows high costs to trading small stock portfolios. In summary, the authors say the implementation gap is large and statistically significant for all the factors they examined. None of the factor strategies earned profits after real-world costs during the 1970 to 2016 period. I wrote my first momentum paper in 2011. It was called “Optimal Momentum: A Global Cross Asset Approach.” I looked at momentum applied to stocks, industries, investment styles, and geographic equity markets. 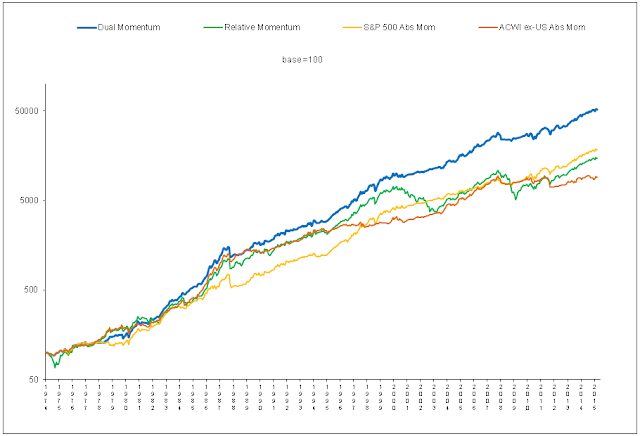 I found that momentum worked best when used with geographically diversified stock indices. In 2015, Geczy & Samonov (2015) applied momentum to U.S. stocks, global sectors, country equity indices, government bonds, currencies, and commodities. Looking at the past 215 years of data, they came to the same conclusion. Momentum works best when applied to geographically diversified stock indices. Neither my study nor Geczy & Samonov’s study took into account implementation costs which would have made equity index results even stronger compared to stocks. The growth of factor-based investing has been explosive and is expected to continue. 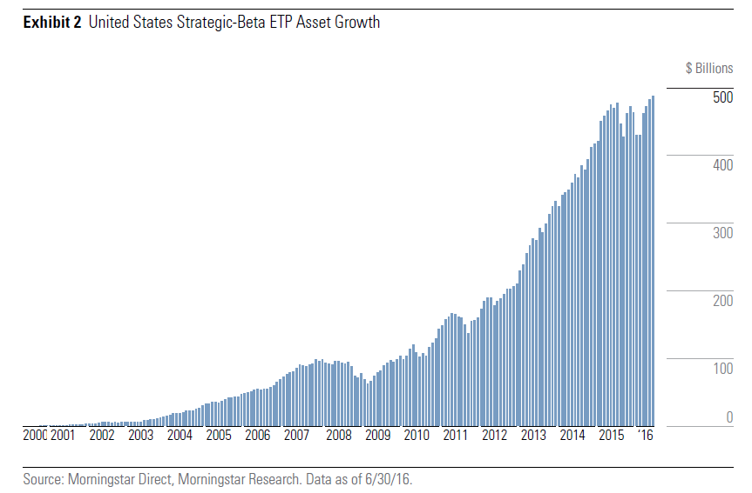 BlackRock forecasts that factor-based strategic beta investing will reach $1 trillion by 2020 and $2.4 trillion by 2025. Many investment conferences now feature this type of investing. Continued growth in factor-based investing may very well aggravate any scalability issues associated with high implementation costs.